Un buon risultato dell’intervento dipende essenzialmente da utensili ottimali. Approfittate dell’esperienza pluridecennale nello sviluppo e la produzione di sistemi motore ed utensili chirurgici. I nostri utensili di qualità vi offrono molti vantaggi. Ad esempio: • resezioni o asportazioni di ossa ampiamente atraumatiche • minimizzazione dello sviluppo di calore Conoscenze dettagliate sulle sinergie tra sistema motore ed utensile sono imprescindibili ai fini della produzione di utensili di precisione di prima qualità. Questi non solo determinano le prestazioni dell’intero sistema, ma sono anche fondamentali ai fini di un loro esercizio ineccepibile, nonché della vita di servizio degli azionamenti. Per tale motivo Aesculap offre, quale produttore leader nei sistemimotore, esclusivamente utensilied accessori idonei per i proprisistemi motore ed impianti. Da Aesculap è possibile ottenere tutto, ed il tutto adattato in maniera ottimale, da un’unica fonte: sistemi d’azionamento, utensili, nonché un’assistenza e consulen za realmente professionali. Chi sceglie Aesculap sceglie la massima qualità da ogni punto di vista. For more than 30 years Aesculap sterile containers represent the worldwide standard for sterile supplies packaging and for the systematic organisation of the sterile supply cycle. In 1971, when Aesculap invented and presented the first genuine sterile containerbased on research and development in which Aesculap had played a crucial role since the beginning of the 20th century – this marked the arrival of a world first. The revolutionary packing and supply system quickly proved itself and soon was established as a reliable standard in Germany, Europe and the USA. During all this change patient safety has always been the paramount consideration: from optimal preservation of the sterility of surgical instruments through transport and storage periods right to the operating table. 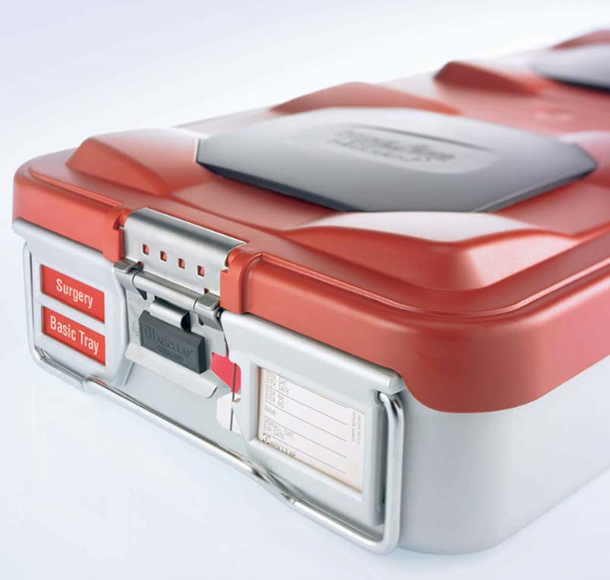 Apart from the safety aspect, Aesculap sterile containers also convince by their economic advantage, making them the sterile packaging system of choice for instrument trays, worldwide. The design of the innovative, ergonomic Hi-Line XXS handpiece resembles that of a bayonet-shaped microsurgical instrument, offering a clear view of the surgical operative site. 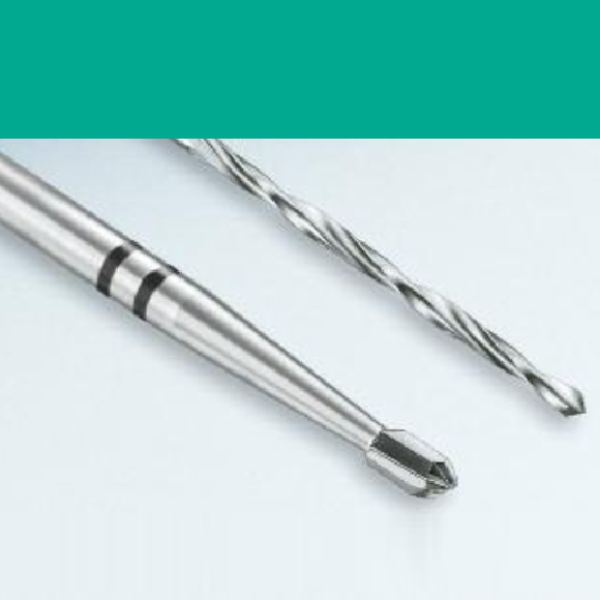 The curved shafts, with a distal diameter of just 3.6 mm, offer a broader field of use, additional manoeuvrability and improved visibility of the burr tip. Revolutions start with small things. 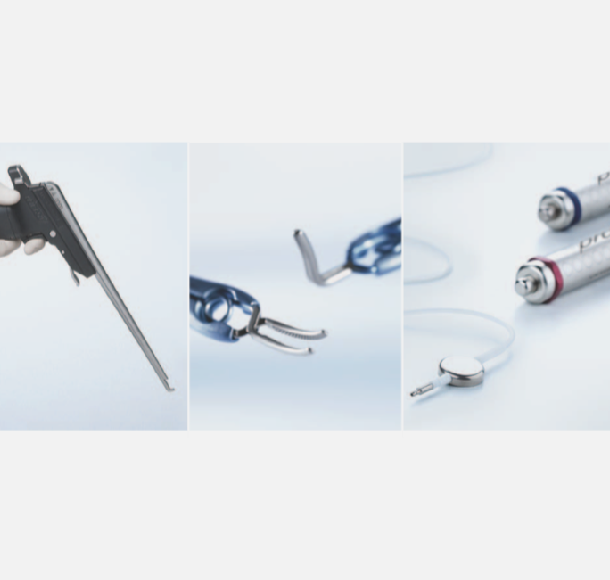 The extremely small HiLAN® XS power system is one of the trailblazers of the new generation of miniaturized surgical instruments, reflecting the trend towards ever smaller access and the demand for improved visibility of the operation site. The HiLAN® XS motor concept is the result of an uncompromising development effort. 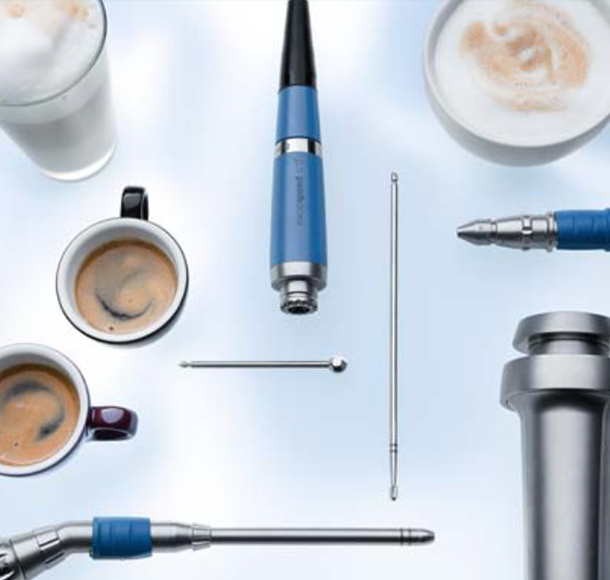 The objective was to design particularly small, extremely light-weight, ergonomic handpiece shafts and a novel motor concept, which delivers the same power as the much larger predecessors. 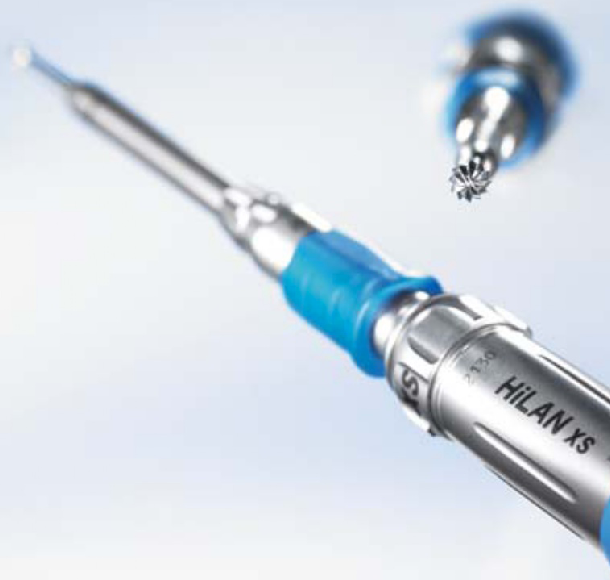 The result is an impressive com- bination of an elegant design and maximum precision: HiLAN® XS. With EinsteinVision® 2.0 Aesculap Endosocopy introduces the evolution of their 3D laparoscopy system. 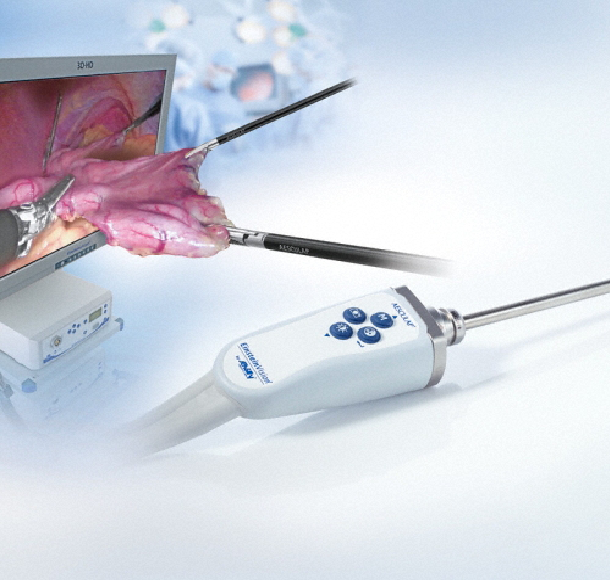 EinsteinVision® – benchmark in 3D Laparoscopy The native Full HD resolution provides razor-sharp images. The optical components deliver impressive 3D depth and even image illumination. Using the experience of manufacturing over 10,000 3D stereo endoscopes in combination with a large 32” Full HD monitor results in a pure viewing pleasure. 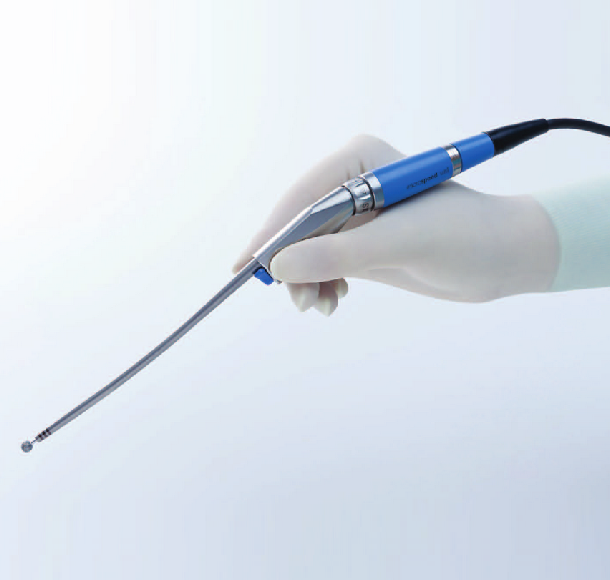 EinsteinVision® – Anti-fog Endoscopes tend to fog when introduced into the warm body. To counter this a “heater” has been integrated into the distal tip of the endoscope EinsteinVision® – Holding devices A variety of mechanical holding devices provide steady positioning and a stable eld of view, thus allowing an assistant to use both hands freely. We are delighted to present you our Aesculap main catalog for neurosurgery with our current product portfolio, including plenty of new products. Aesculap was founded in 1867 by Gott- fried Jetter, a cutler by trade. Over more than 145 years, the small workshop and forge for production of surgical instruments in Tuttlingen, Germany developed into a global operation en- joying international success. Today, Aesculap is one of the four divisions of the B. Braun Melsungen AG, Germany. Neurosurgery has always been an important field of activity for Aesculap. The close cooperation and open dialog with neurosurgeons all over the world is a central element of our corporate philo- sophy, „Sharing Expertise“. Neurosurgical instruments appeared even in the first-ever Aesculap catalogs of 1887. Among the milestones for Aesculap Neurosurgery were the electric power system for trepanation (1935), the YASArGiL® aneurysm clips (1968), the pneumatic drill (1969), the CranioFix® clamp system for bone flap fixation (1997), the programmable MiETHKE® gravitational valve proGAV® (2003) and the KAirison® pneumatic bone punch (2008). The words „Made by Aesculap“ have gained worldwide recognition as a syno- nym for unrivaled quality and reliability. Each of our products is characterized by functionality and continuity. Through innovative new products and continuous development of existing products, we make sure that surgical interventions of the central nervous system are becoming ever safer and more efficient.